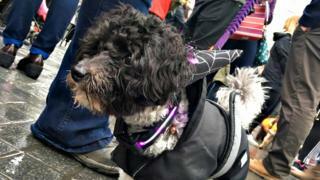 Pictures: Dogs get dressed up for Halloween! 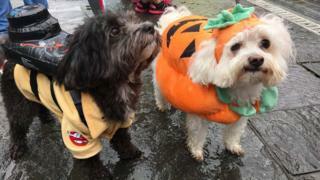 Halloween is almost here and these dogs in Manchester are certainly getting into the spooky spirit. So first up on the costume menu... 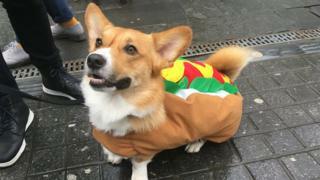 Anyone for a hot dog? A hot...DOG? Did you see what we did there?! What a great outfit. 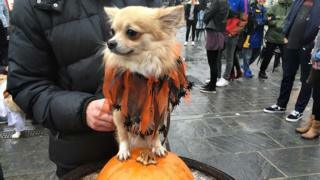 Next up and this pooch matched their costume perfectly to this lovely orange pumpkin. This sort of coordination belongs on a catwalk, don't you think? 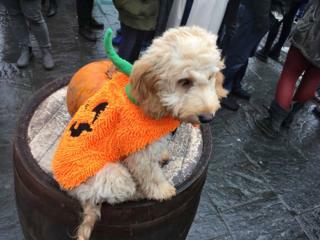 It seems this dog had the same idea, although this costume certainly looks a lot warmer! Great work, guys. Is it bird? Is it a plane? 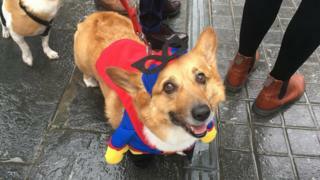 No, it's SUPERDOG! Nobody will be getting scared by ghosts or ghouls with this superhero around. 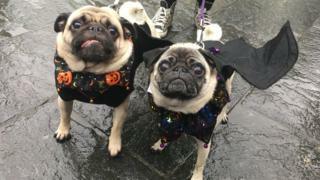 These two pugs certainly look like they're ready to give someone a fright, with their pumpkin and bat ensembles. You should always make sure you wrap up on a rainy morning - and this pooch has done just that with this incredibly fetching skeleton onesie. 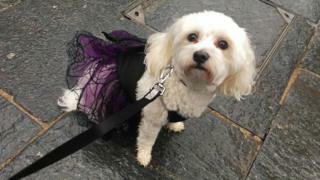 This dog certainly didn't mind the wind and drizzle by the looks of things, with this spooky witch dress. Great outfit! Who you gonna call? Dogbusters! These two friends look like they're having a great time at the Halloween get-together. Princess Leia from Star Wars even made an appearance at the parade - what a star-studded event! 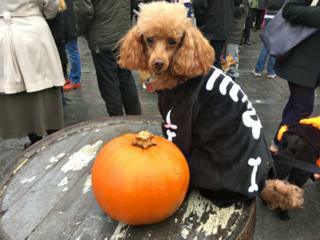 In fact, this costume went on to win Best In Show. It's not every day that you get to wear a sparkly hat and a flashing collar with lights on, so this dog certainly made the most of the occasion. It turns out Superdog is quite the hot dog fan. 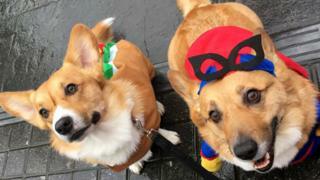 These two look very keen to show off their fancy dress together. Your favourite things about Halloween! Why do we change the clocks at this time of year?